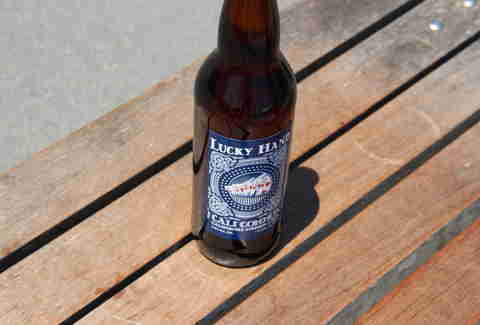 Jon Gasparini, Owner, Rye & Rye on the Road Lucky Hand Brewing's Cali Common (California Common/Steam Beer, 5.5%) Jon says: "Contrary to many beer enthusiasts, I tend to steer clear of big heavily hopped brews. Lately I'm enjoying Cali Common by Lucky Hand Brewing. It's crisp and bright with some mild bitterness. Perfect on a warm afternoon. I like the large bottle format for sharing. 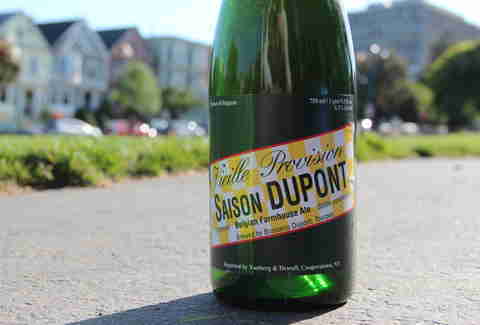 Saison Dupont (Saison, 6.5%) Jon says: "While this is in no way a new beer, it's simply amazing. This beer is complex with beautiful floral notes. No offense to High Life, but this really is the Champagne of beers. 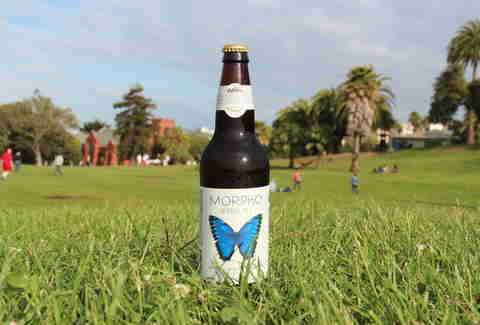 Jay Barmann, Associate Editor, SFist Cerveceria de MateVeza's Morpho (Herbed/Spiced Beer, 6%) Jay says: "I love the Morpho from Cerveceria de MateVeza, despite the girly label with the butterfly on it. It's a bright red-colored, hibiscus-infused herbal ale, like a really terrific, nuanced saison, and as an added bonus it's got caffeine in it. 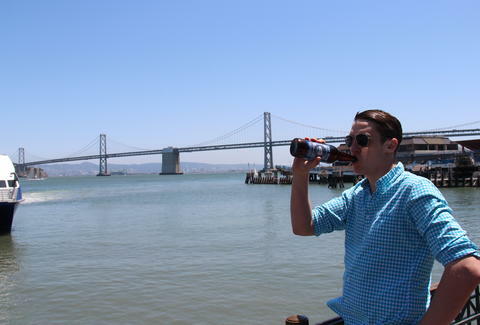 The perfect park beer. 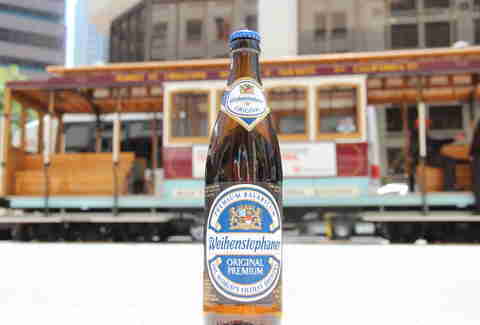 Bahnhof's Leipziger Gose (Gose, 4.6%) Jay says: "Also I'm a fan of the Bahnhof 'Leipziger Gose', a salted wheat ale from Germany that they serve at Bar Tartine (and you can probably find it and other Goses at City Beer Store and Healthy Spirits). It's just barely, lightly sour, almost lemony but with a unique salinity, and pretty light and refreshing all around. Christian Albertson, Co-Owner, The Abbot’s Cellar & The Monk’s Kettle Jolly Pumpkin's Bam Biere (Saison, 4.5%) Christian says: "This is my favorite all-around Summer beer. It's a dry-hopped tart farmhouse from a brewery in Michigan that uses wild-ish yeast strains very well -- not in every store, but can be found in places that cater to the craft beer market. 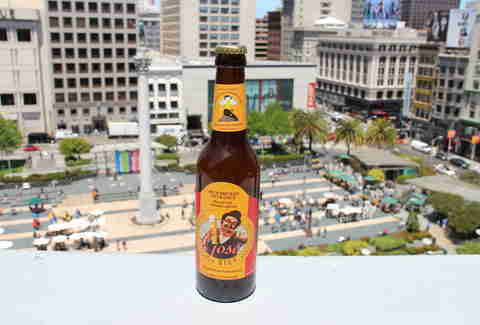 It's the perfect beer to bring to a picnic and impress everyone. Not cheap, but a crowd-pleaser. Boulevard Brewing's Tank 7 (Saison, 8.5%) Christian says: "We have been incredibly lucky that a few months ago Boulevard Brewing's beers became available in the Bay Area. 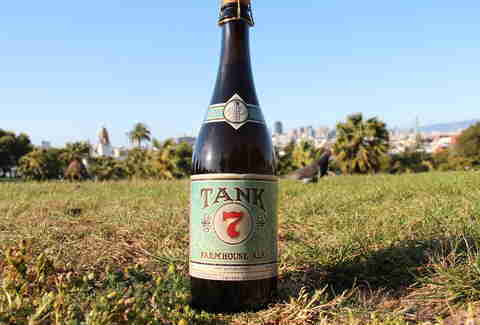 Their farmhouse, Tank 7, is excellent and is a very easy-drinking beer. Since my wife tried it a few weeks ago, I've been instructed to keep it stocked at home." 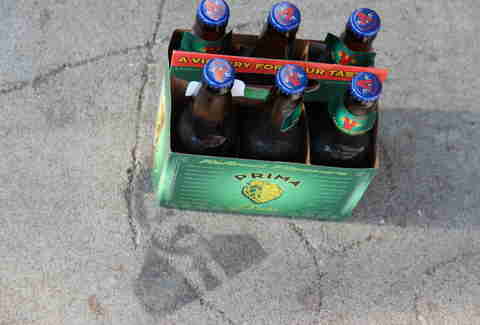 BONUS: "And, for the grab-a-six-pack-and-go: Firestone Pale 31, Lagunitas Dogtown Pale, or Grand Teton Sweetgrass. Lou Boustamante, Bar/Spirits Writer, SF Weekly Weihenstephan Original Lager (Munich Helles Lager, 5.1%) Lou says: "This old-school Bavarian lager has been made at the oldest continuously operating brewery (since 1040) with the same recipe: light, but has plenty of maltiness; there's a reason its been around for 900 years. 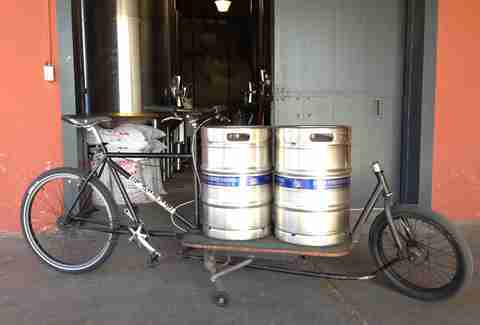 Linden Street Brewing's Town Lager (California Common/Steam Beer, 4.5%) Lou says: "When it's hot, I find myself driving near the port of Oakland to get my fix of this 'only within keg-bike delivery distance of the brewery' beer. Sure you can go to a nearby restaurant and buy a glass, but hanging out in the tap room enjoying a glass within view of the brewery makes it even more refreshing. Allie Pape, Editor, Eater SF Orval Trappist Ale (Belgian Pale Ale, 6.2%) Allie says: "Since summer in SF is a notoriously loose concept that occasionally involves frostbite, I'll pick one brew for actual SF summer, and one for those momentary glimpses of warmth that cheer us up just enough to get through the next three weeks of bone-chilling fog. 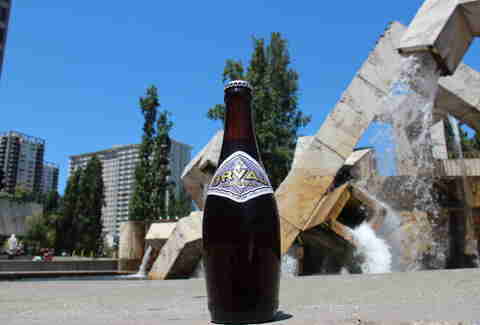 On the cool-weather side, I love Orval, a Belgian Trappist beer with layers of Brettanomyces funk, sweet brown malt, and exuberant carbonation; I usually pick one up from Public House on my way into AT&T Park (yes, it's allowed! Ask for a plastic cup! I hope to God that none of my fellow beer nerds are reading this!) and spend the first few innings savoring every drop. Moonlight Brewing Company's Reality Czeck (Czech Pilsener, 4.8%) Allie says: "As for when it's actually warm? I'll take two pints of Moonlight Reality Czeck, a note-perfect Czech pilsner, and the nearest patio I can find. It's only available on draft, though, so my backyard-BBQ runner-up would be Victory Prima Pils, a hopped-up take from Pennsylvania. 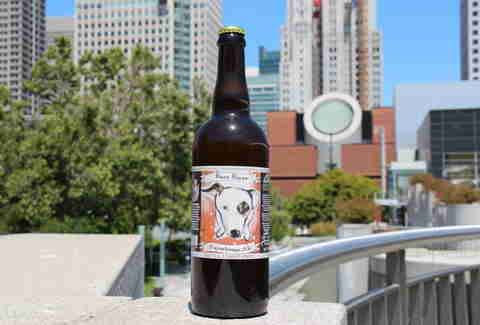 It's the pilsner for IPA drinkers."